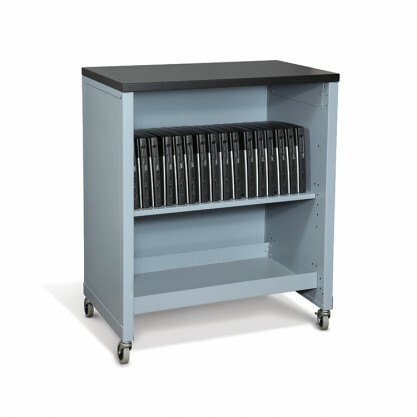 Allied Systems products is proud to have a full line of Laptop and Tablet Storage and Laptop and Tablet Carts. 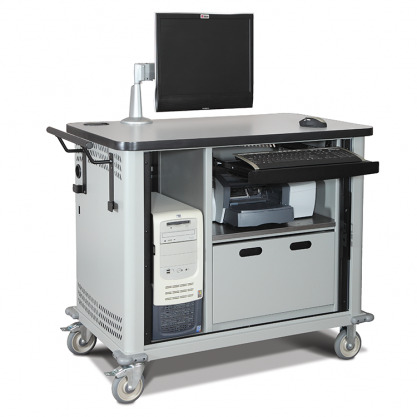 Allied's line of Carts are the ideal solution for mobilizing all of your technology. 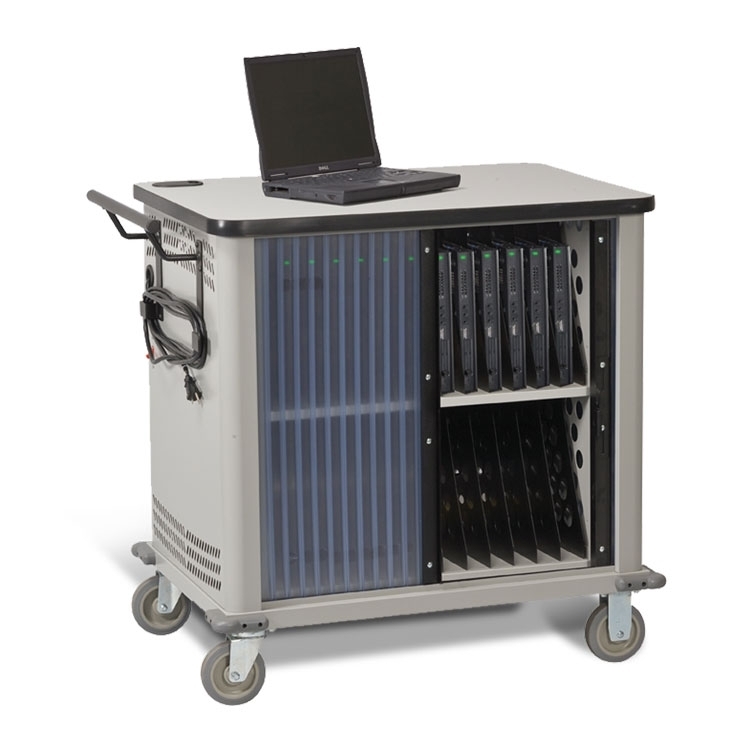 No matter if you need to move laptops, personal computers, tablets, audio/visual equipment, or netbooks, the Allied Cart is the product for your business. 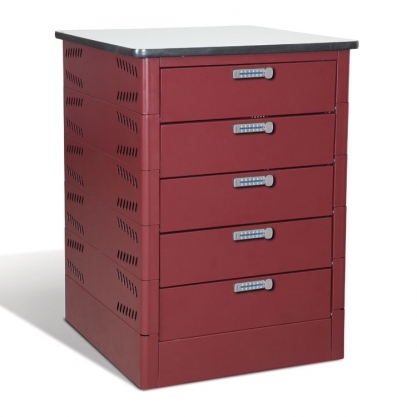 Tablet Storage cabinets can be mounted to a surface, placed side by side or stacked to save space. 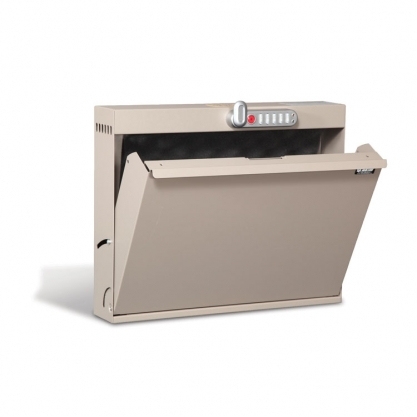 Units feature locking, recessed fold flat front and rear doors ensure maximum security, and can accommodate five, eight or ten full size tablets. Power Management Dividers with multi-unit power strip charging capabilities, feature storage of up to 12 tablets while maintaining cord organization. 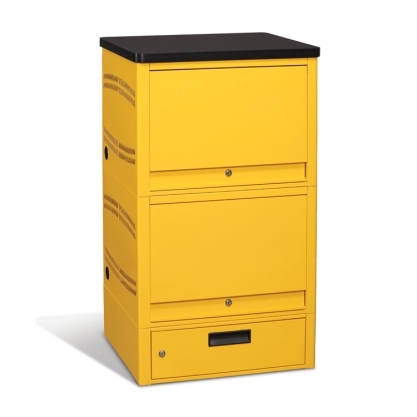 Laptop Lockers engineered to provide maximum security for laptops, small valuables, documents and more is available in two different styles and features a sleek, compact design allowing for seamless integration into its surroundings. Reverse hinging design on front and rear doors with reinforced anti-pry strips provides maximum security and protection of your laptop. Allied's Carts not only transport your laptops and tablets, but also sync and charge them while being stored. 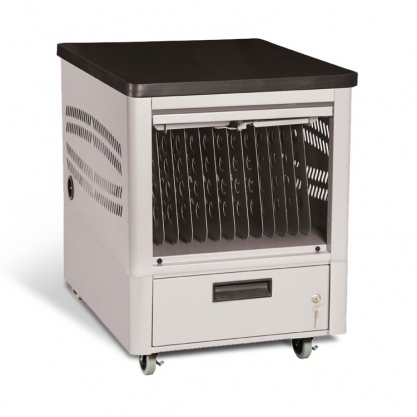 Designed to keep electronics charged, ventilated and organized while maintaining a maximum level of readiness and security, optional casters and pedestal carts provide secure storage, plus easy mobility. With many different designs and price points, there is a cart that will fit your needs.